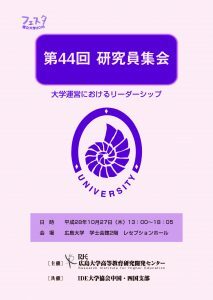 As it has been already announced, we will hold the 44th Annual Study Meeting on 27 October 2016 at Reception Hall, Hiroshima University. Signing up for the meeting is now available from the application form below. To register, fill out the form below. You will receive an automatic e-mail confirmation within one hour of submission. 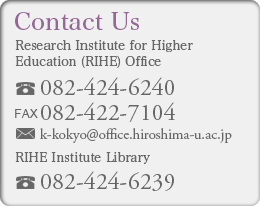 If you do not receive an e-mail confirmation, please check your spam filter.